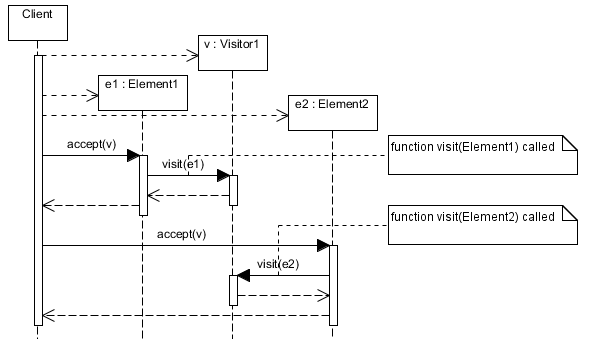 The visitor design pattern a pattern to support separation of concerns in programming languages that support method overloading (OO languages, but also functional languages can work). The pattern is hard to understand first, but it is very useful once understood. 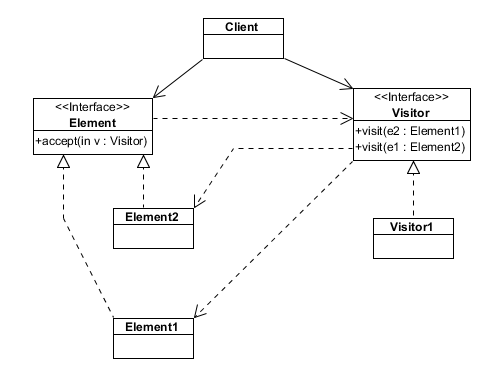 The implementation of Element.accept(Visitor) simply forwards the call to the visitor with this as its argument, in turn calling the matching overloaded visit function. Much better. This works because the accept function that is called is the one owned by the specific instance, regardless of the type of the variable holding this instance. And from there, the runtime finds the correct call function. This has been for me a very good lesson on OOP and polymorphism. And also on how it is always important to understand how my tools work. Oh, and BTW, some call double-dispatch a code-smell. I agree with them.